Known as the most expensive metal after gold and silver, tin is very malleable and flexible. Though having nearly the whiteness of silver, it does not rust easily or gets tarnished by air. It has antibacterial properties, low allergic reactivity and high heat conductivity. 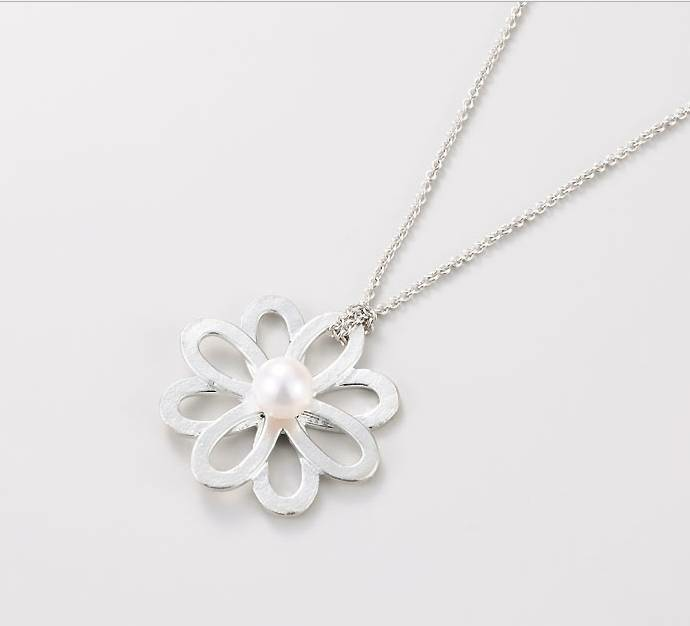 This Space Flower Pendant is made 100% out of tin, making it bendable according to you preferences. The galaxy themed blooming flower has an authentic, fresh-water pearl in the center. The creative design makes the pedant suitable for fancy events, as well as daily wear. Pear up with the Space Flower earrings from the same line up to really steal the show!